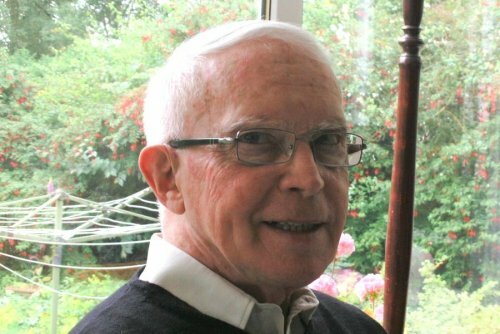 Brother Thomas died during the night of 11th – 12th January, 2019. He would have had his 80th birthday in early February. Signs of a long-term illness appeared more than three years ago, and over the last year and a half, his health diminished a lot, and this included a loss of memory. However, apart from one extended stay in hospital after a fall, he stayed at home in Taizé until the end. He went to the Community prayers in his wheelchair, with brothers taking it in turns to accompany him. Ian Williamson was born in 1939 and grew up in Dunfermline, Scotland. He graduated from the University of Edinburgh 1960, and continued his studies at New College, training for ministry in the Church of Scotland. For two years he acted as a student assistant at Craigsbank Parish Church, Corstorphine, and then served as an Assistant Minister for a further two years in a church in Dundee. Already planning to join the Taizé Community, it was during his work there that, with Brother Roger’s agreement, he was ordained as a minister. Since 1963 he had been a member of the dispersed, ecumenical Iona Community. He entered the Taizé Community in 1965, taking the name of Thomas, making his life commitment at Easter 1969. Initially responsible for receiving young people who came to spend a week in silence, he was then one of a group of brothers who prepared the “Council of Youth” in the early 1970s. As the Community was increasing in number, in 1973 brother Roger asked him to help with the organisation of the life and work of the brothers, as well as to act as a link for those of the Community who lived in “fraternities” in various parts of the world. He also accompanied some of the young people, in particular those from Asia who were staying in Taizé for a longer time as volunteers. He guided the publication of many of the Commmunity’s books in their English translation. With the arrival of the internet, it was he who was initially responsible for the content of the site and composing the Community’s email newsletter, before handing this task to younger brothers. After the Brother Roger’s death, Brother Alois continued to count on his help, which he gave willingly to the extent that his progressive weakening allowed. God of all human beings, we entrust to you our Brother Thomas. You welcome him now into life in fullness. We thank you for his presence among us. With us, his brothers, he fought the good fight of the faith; he has finished his course, and today you grant him the entry into eternal life. He prepared for a pastoral ministry in his Church of Scotland, and you called him to leave his country to join our Community. As a brother, he accompanied and supported all those entrusted to him, very many young and not-so-young people. He was an only son, and he lost his mother when he was a child, which gave him a solitary temperament. And at the same time, you placed in his heart the gifts necessary for the contribution he made to the building up of our community life. Faithfully and unselfishly he brought to Brother Roger the support and the collaboration that he asked of him, in order to help the brothers go forward in unity. Through the Holy Spirit, the Consoler, you continued to be present at his side to help him bear several years of ill-health and the loss of independence that they brought. God of love, we praise you for the life of our Brother Thomas. With him, we too would like to fight the good fight of the faith right through to the end.